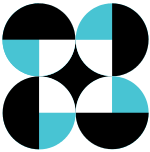 The DOST was formed as the National Science Development Board in June 13, 1958, during the administration of President Carlos P. Garcia. The science body was formed as a result of a law passed in the Congress upon the recommendation of Dr. Frank Co Tui, who was tasked by Garcia to conduct a survey regarding the state of science and technology in the country. It was reorganized as the National Science and Technology Authority (NSTA) in March 17, 1981 and was given broader policy-making and program implementing functions. 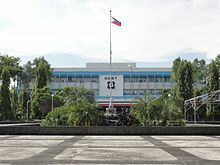 In January 30, 1987, during the administration of President Corazon Aquino, the NSTA was elevated to cabinet-level status with the signing of Executive Order 128, and was renamed as the Department of Science and Technology. Undertake policy research, technology assessment, feasibility and technical studies. ^ "Department of Budget and Management FY2019" (PDF). DBM. Retrieved 18 March 2019. ^ "DOST-SEI History". DOST-SEI Scholars Online. DOST-SEI Scholars Online Community. Retrieved 2 April 2016. ^ a b "The DOST in Brief". Department of Science and Technology. Retrieved 2 April 2016.